What is the value of the positive integer a? (1) a and (a+1) each have exactly 6 factors. Yes, there is a pattern involving prime factorization that can help speed you up on this question. 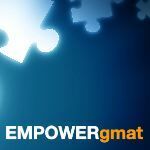 While it's a relatively rare pattern, the GMAT might slip in into your Test in 1 question (when you're scoring at a sufficiently high level). For a positive integer to have EXACTLY 6 factors, the prime-factorization of that number will yield 2 DIFFERENT primes, one of which shows up TWICE. 12 = (2)(2)(3) = 2 different primes, one of which shows up twice. With this much smaller list of numbers, you should be able to pinpoint the possibilities that "fit" the Facts. 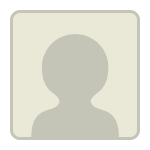 Originally posted by EMPOWERgmatRichC on 29 Jan 2015, 13:28. Last edited by EMPOWERgmatRichC on 31 Jan 2015, 12:25, edited 1 time in total. Is there a logical short cut or a logical way for solving this question. You should double-check your work: 64 does NOT have 6 factors (it has 7). Is there a shortcut to solve this question. Going after every number will waste our time. please educate me. St1: a and (a+1) each have exactly 6 factors. No limit defined on the value of a as a can have any value between 1 and infinity. a and (a+1) each have exactly 6 factors and a < 76.
key here is : a and (a+1) are co-prime integer. Consider p, q, r, and s be 4 different prime numbers. If you look first at statement 2, you can see that it's pretty useless, as there are 76 positive integers less than 77 so statement 2 is obviously insufficient. So as you start to look at statement 1, you should begin thinking in that range of statement 2 so that you're efficient in your work. Knowing Data Sufficiency, you may want to try the number at the exact end of the range in statement 2 - they don't pick those inequality ranges by accident! If a is 75 and a + 1 is 76, then a has six factors (1 and 75; 3 and 25; and 5 and 15), and 76, a + 1, has six factors (1 and 76, 2 and 28, 4 and 19). In seeing those factors and thinking systematically, you might recognize that each of those factorizations includes a square (75 has 25; 76 has 4) and start looking for similar numbers further down the scale. One more such pairing is 44 and 45: 44 has a square in its factorization (4) and so does 45 (9). And each does have six factors (44: 1 and 44; 2 and 22; 4 and 11. 45: 1 and 45; 3 and 15; 5 and 9). So a could be either 44 or 75, and therefore the answer is E.